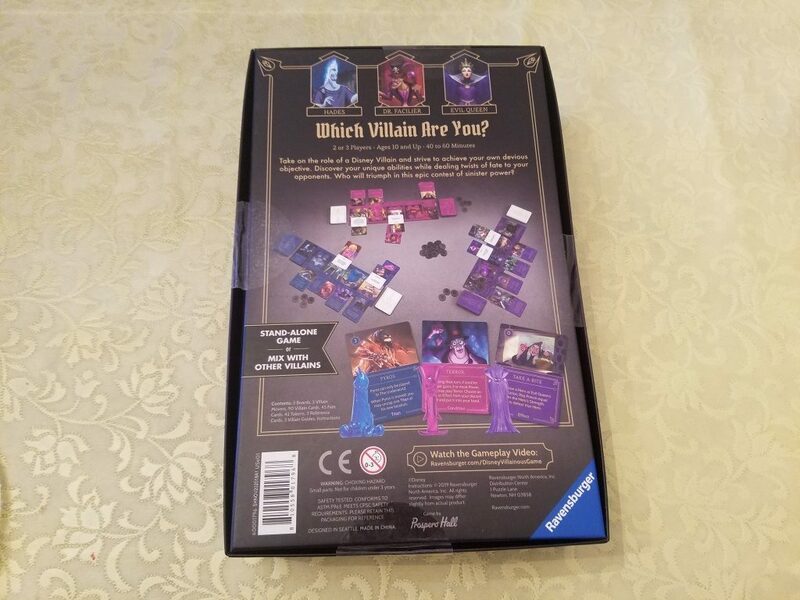 Ravensburger, who I covered at the recent New York Toy Fair, was kind enough to send me a copy of the expansion to their game Villainous – Villainous: Wicked to the Core. 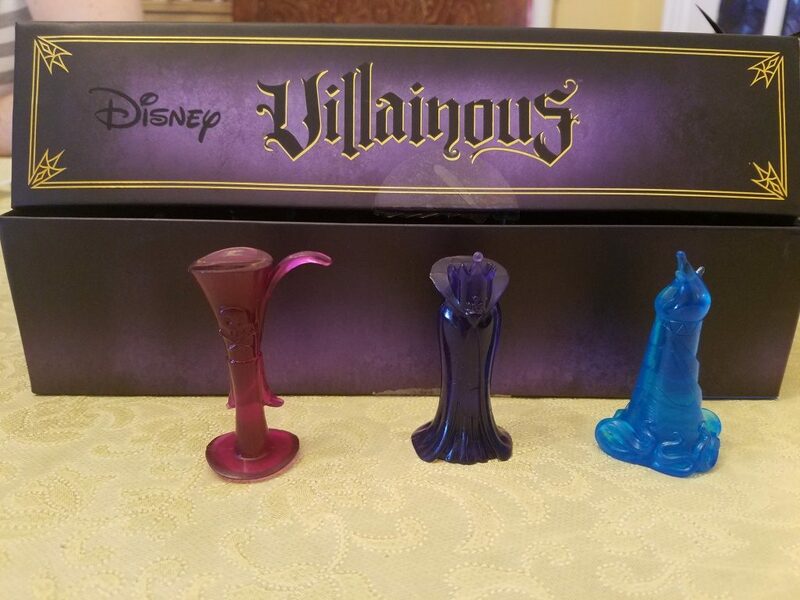 For those not familiar Villainous is a game where you take control of one of six classic Disney Villains (Ursula, Maleficent, Captain Hook, Jafar, Prince John, or the Queen of Hearts) each with their own unique abilities trying to achieve their own evil objective and defeat the forces of good. These objectives are tied to that characters story while sabotaging other villains objectives sends heroes from their story their way. 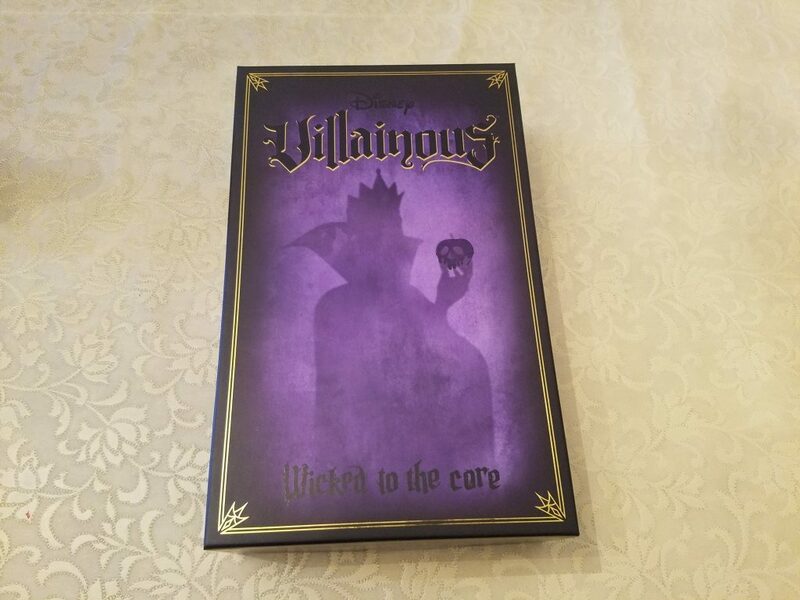 Villainous: Wicked to the Core adds three iconic Disney Villains to the fold – the Evil Queen from Snow White and the Seven Dwarfs; Hercules’ Hades; and Dr. Facilier from the Princess and the Frog. 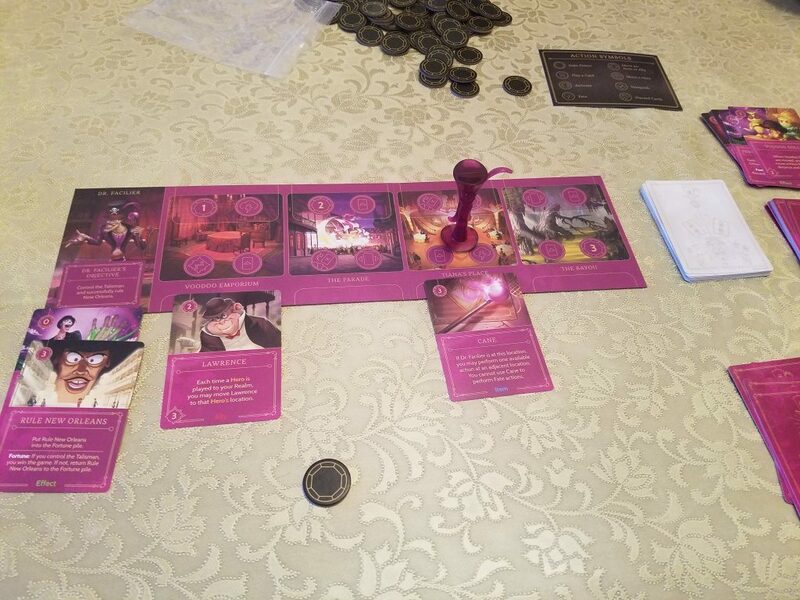 Since the style of play in the expansion is the same as the core game the expansion can either act alone as a 2-3 player game or as an addition to the core game by allowing players to mix characters from both. 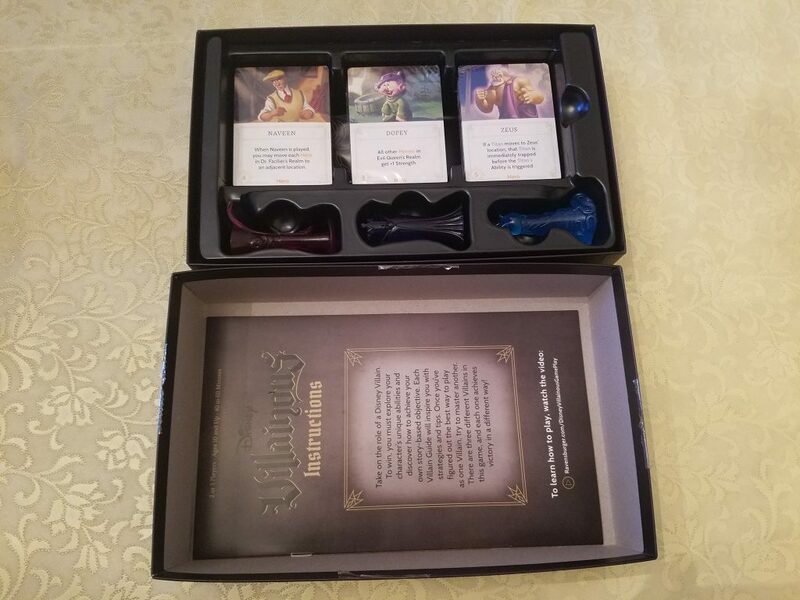 Because each players game plays out on their own board adding three new characters doesn’t affect how the game is played but does significantly increase the number of possible game combinations. Having played the expansion with the original game at a recent gameday I wouldn’t recommend playing more than a six player game as it would become tedious instead I would recommend the group to split off into two smaller groups for an overall better experience. As we are focusing on the expansion lets take a dive into the new characters! First up the Evil Queen. The Queen’s objective is of course to be the fairest in the land and in order to do that she needs to defeat Snow White by making her “Take a Bite” out of a poisoned apple. In order to do this though the Queen needs to brew poison tokens. In a way this is different from all other characters who rely on allies to defeat heroes as all you need to do is find the ingredients, brew the poison, summon Snow White, and make her “Take a Bite” though when Snow White is brought out she comes to the Cottage area of the player board which is not available to the Evil Queen until she plays four ingredients. It sounds like a lot but when playing the game the character actually played easy enough. Next up is Hades the antagonist from Hercules. Hades goal is to have the Titans take over Mount Olympus. In order to do this Hades needs to start his turn with three Titans on Mount Olympus. 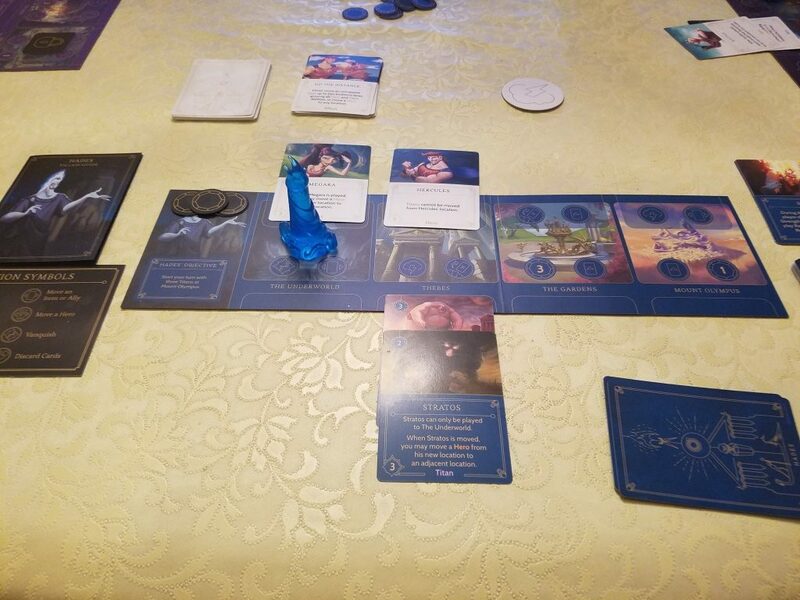 Hades accomplishes this by recruiting Titans, who act as allies, out of the player deck, and moving them along the player board until they reach Mount Olympus; the only catch is all the Titans start on the other side of the board as Mount Olympus and therefore moving them becomes Hades main focus. Dr. Facilier of the Princess and the Frog fame has a fairly straight forward goal he needs to rule New Orleans. 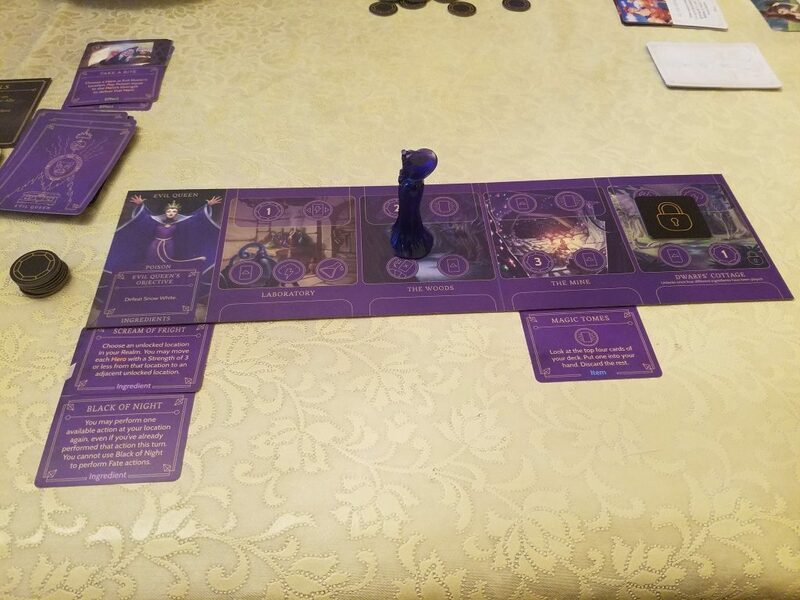 In order to do that Dr. Facilier needs to add cards to a separate Fortune Pile which he can use however the card he uses is randomly chosen by another player. Once Dr. Facilier controls the Talisman cards and reveals the “Rule New Orleans” card he wins. Opponents can sabotage this by adding cards to this pile. So that’s Villainous: Wicked to the Core in a nutshell. I really do recommend this game for both board gamers and for a family fun night! As an added bonus I really like both the game pieces and the artwork used in the game and expansion. Media Journalist | Michael loves all things Pop Culture. He has an opinion about everything, whether you ask for it or not. Michael collects Convention Exclusives, Legos, Prints, Steelbooks, Transformers, and everything in between.